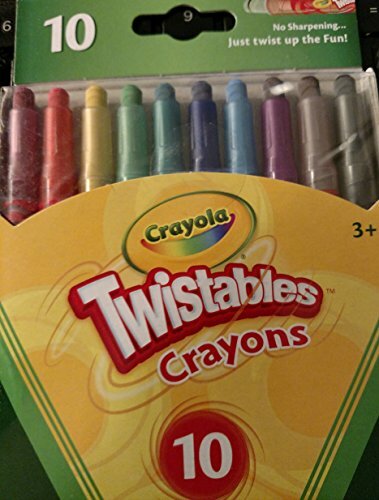 Crayola Mini twistable crayons never need sharpening and their small size makes it easier for kids to color and travel with them. Just give them a twist up when you want color, or a twist down when you want to put them away. The durable plastic barrels are clear and let kids see the color inside while protecting it against breakage. Forget about messy crayon shavings and peeled labels. 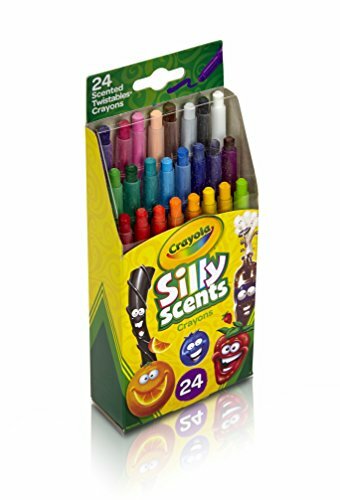 This pack offers 50 mini crayons in assorted colors, so that kids have a wide selection of crayon colors in one reusable storage box. It's a portable coloring kit for kids, that allows them to bring their full color collection with them. Choose this less mess solution designed for kids on the go, and moms in the know! 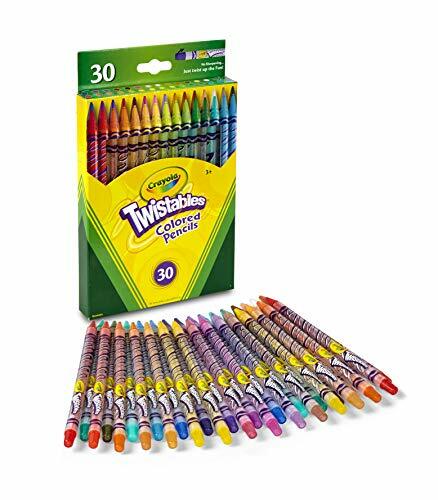 Our 72 count collection of 36 Twistables Colored Pencils and 36 Twistables Crayons have 12 fun new scents and colors to offer! 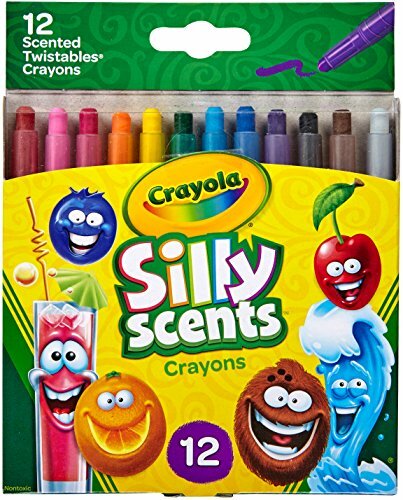 They are the best coloring tools for kids because there's no sharpener required, so it's easy to just twist up and go. They also have a casing around them so the smell won't stick to hands after coloring. 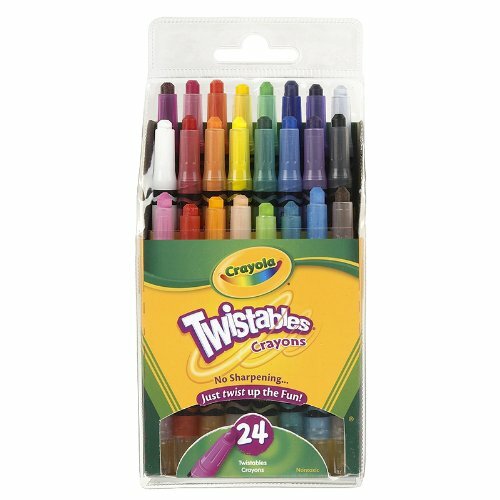 Add a tiny twist to coloring and drawing with Crayola Mini Twistables Crayons. The case unfolds to a convenient lap desk design. Includes a 40 page sketch book and 2 sheets of stickers you color yourself. A great gift item. 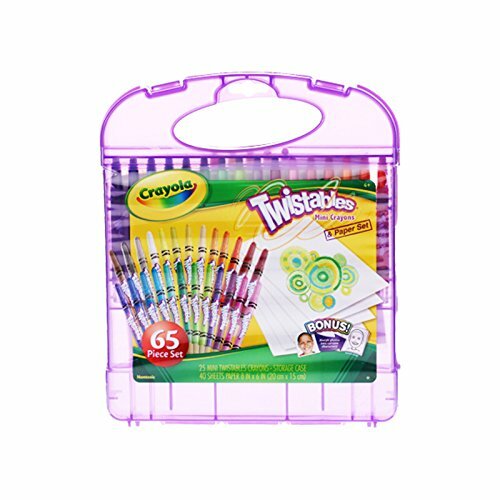 Snap-fit design keeps the twistables crayons and paper in place. 65 Piece Set! Durable plastic storage case. 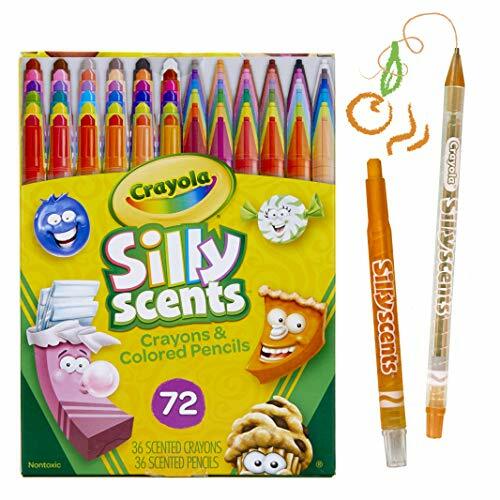 A twist to coloring and drawing fun on the go with this all in one kit!. 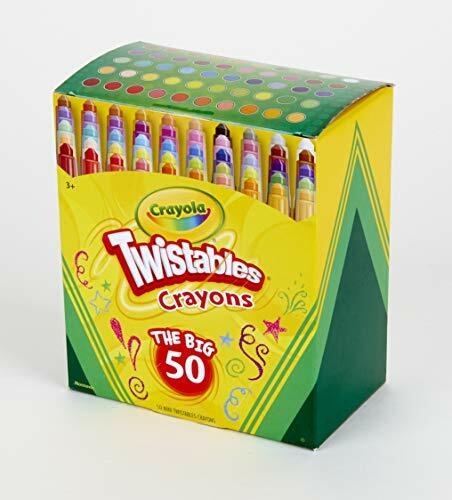 Twistable colored pencils are ready to color whenever and wherever you are, with a color core that can be twisted up as needed. Unlike presharpened colored pencils with a tip that might break if left outside of the box, you can twist the core down when not in use. The plastic casing protects them, and it's clear design lets you view how much you have left. Since the outer shell of the pencil isn't shaved down, you're never left with a little nub to hold for coloring. This gift item is perfect for birthdays and holidays, classrooms and craft rooms. Stay sharp with a simple twist when you bring home this colored pencil set for kids and adults.